This is the second part of 2 parts. If you would like to read Part I first, which is neither recommended nor not recommended, you can do so by clicking here. Triple negatives are as rare as white rhino’s by the way. #6 – The Nike Farm Team – Biased? Yes. The Farm Team (along with the Stanford Team) basically rabbited every elite race at Stanford from the late 90’s all the way through 2007- when they moved the team to Eugene and became the Oregon Track Club Elite. Jeff Johnson, then Vin Lananna, then Gags (with help from Jack Daniels and Ray Appenheimer) took the reigns of the Farm Team. They understood that Americans needed fast races in America. Palo Alto was the perfect location. You know what happens when people start running fast? Other people have to decide whether they are going to run that fast. If you came to Stanford to race you came to run fast, really fast. The bar was just set higher. It was that simple. And if the bar was set higher at one level there is a chance that other levels (above and below) will respond. They did. #7 – Jared Leto and Billy Crudup aka Steve Prefontaine and Steve Prefontaine – When those movies, Prefontaine and Without Limits, came out I was a 22 year old 5th year senior at North Carolina who had read the book Pre by Tom Jordan at least 20 times already. If I had read the book at age 9 or had seen Without Limits at 11 my career would have been very different. I would have been better. The movies were OK. Their significance lies not in their place in cinematic history but rather that they were real running movies. They were movies about a real runner. They were movies that legitimized our efforts on the big screen. I could have used a movie like that in HS. We were still watching Chariots of Fire. Great movie but you can only drink champagne and do steeple drills for so long. (Watch the movie for crying out loud!) I graduated HS in 1994. The Prefontaine movies came out in 1997. Running in the 90’s sucked. If you were an 8th grader though in 1997 when the movies came out you would have been a senior in the Fall of 2000. You would have had to run against fellow HS seniors Dathan Ritzenhein, Alan Webb and Ryan Hall. Coincidence? Obviously not! #8 – Social Media – (It’s different than the internet dammit!) Twitter. Instagram. Facebook. Tumblr. You name it. HS runners don’t even need to be rock stars to have a rock star presence on line. And if that makes them work harder well so be it. Just remember kids – If you want to act like a rock star off the track you better run like one on the track first. #9 – Alberto Salazar & Jerry Schumacher- Alberto Salazar took a HS kid and said he was going to make him world class. A HS kid! What was this the NBA? He was so matter of fact about it happening too. Most importantly he was upfront that it would not happen until years and years later. Salazar made all of us that thought the Kenyans and Ethiopians were unbeatable feel like wusses. We were. He also changed they way we thought about ourselves and the time horizons we operated under. We needed to dream bigger, train harder, expect more and understand that this road to success we were on was not endless it was just a lot longer than we had thought. So keep going! He just did it again and this time with a girl. It seems to be working. Jerry Schumacher recruited Americans to Wisconsin and made them elite. Truly elite. And he was quiet about it. Which made it interesting. And they were midwestern kids. Which somehow made it more special. Like they were all farmers sons and were running world class times while also holding down a low paying investigative journalist job at the Daily Planet. It just seemed like American kids could now actually become world class runners. It had been awhile. Now, he rules the roost at the Bowerman Track Club elite. You may have heard of some of his athletes – Evan Jager, Shalane Flanagan, Chris Solinsky. And yes, I had to put Jerry and Alberto with each other. I had to. Besides, their rivalry is great for the sport. #10 – The Rebirth of Eugene AKA Vin Lananna – It is ESSENTIAL that there is a crowd, an actual crowd, in the stands when a track meet is on TV. It is ESSENTIAL that meets are run professionally. It is ESSENTIAL that the sport is treated as legitimate by the people who run the sport. It is ESSENTIAL that Track & Field have at least one place that it knows it can go and receive all of these things. It is ESSENTIAL that we understand that the sport of Track & Field when presented properly can stand on it’s own two legs without gimmicks. And believe me, the resentment towards Eugene for getting all of these big time meets is great for the sport. It forces other towns and cities to put together some type of a bid that can compete with Eugene if it wants to host a meet. And when a city fails to put together a show that merits taking a great meet out of Eugene again it forces all of us to ask the question “What is Eugene doing that we are not doing anywhere else?” NCAA’s and USATF meets before Eugene was reborn TrackTown USA were poorly attended and looked unexciting and to be honest made our sport look like the peripheral sport it had become. Track & Field could not even FAKE that it was healthy for one or two weekends a year! Growing up with TrackTown USA there to take care of the big ones is a great relief and kids get to watch the stars of their sport compete on a stage that they deserve. Maybe, someday those kids will take that stage themselves. And that stage they get to compete on is a whole lot cooler than any stage they used 20 years ago. For the first time in a really long time there was talk, legitimate talk, about a potential HS Sub 4. Almost every year now it seems that there is a discussion about a HS boy breaking 4 or a HS girl running faster than Mary Decker did which to me is the same conversation. Before this RUNaissance (so proud of that word) if someone wanted to break 4 in HS they were told to address the wish to the North Pole. In 1997, everything changed. There was not 1 but 3 potential sub 4 runners in HS. This race was standing room only at NC State and local and national papers picked up the story. If my memory serves correct Ryan Travis took the pace early. The 3 studs came up short but Karie ran 4:02 in a HS only mile and we left excited by the spectacle and more importantly what may lay ahead for American Distance Running. If you want to look into the future just look at the youth around you. You have to be pretty excited about what’s coming next. Bonus #12 – I will leave this blank. But, I assure you it is really filled with thousands of volunteers and new coaches and long time coaches and parents that drive their kids to practice and older siblings that inspire and grandparents that tell stories about John Walker and Joan Benoit and photographers that show up at meet after meet and charge little to nothing for their work or newspaper reporters that do amazing work writing about our sport and still have to worry about their job and officials that work at meets and put the kids first and race organizers that put in countless hours so we can compete and then put in countless hours picking up our paper cups and orange slices. So, yeah, there is a big blank but not empty #12 on this list. Is this list, even with the Bonus #12, complete. No way. Not even close. Do you agree with the list? Probably not. Then again, you asked, maybe not you specifically, but you asked. Maybe now you know why my family never did. I get questions. Seriously. People actually ask for my opinion. If you are not shocked by this I can assure you that my brothers, sister and parents are. I give them my opinion pretty much all the time on all sort of things. I don’t think they have asked for my opinion once in 38 years. I can’t really blame them – I’m the kid that stuck a Battleship game piece up my nose during the awesome 1980 Wimbeldon final between John McEnroe and Bjorn Borg. I’m still paying that one off. I was four years old! It fit. What’s the problem? The problem was getting it out. The whole family went for the hospital visit. No 4th set tiebreaker for the Bennett Family. No epic 5th set battle for the Bennett Family. No DVR back then either. Again, I was 4. We need to move on…as a family. So, occasionally I get questions – mostly about running – How should I train for a marathon – what should I be having my 11 year old do – how much speed work is too much speed work – how long should a long run be – when did you start losing your hair? One question that I get more than the others has to do with the quality of high school distance running. Why are these kids running so fast? 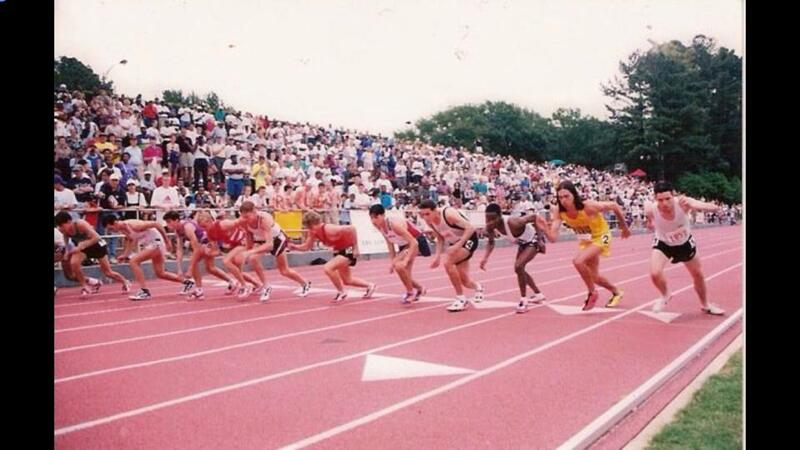 Or, if you were like me and raced during the Dark Ages of US distance running – the 1990’s – then the question is one laced with a little bitterness – What’s Wrong With These Kids? I figured it was time to at least attempt to answer this question, and a great question it is. I have to first say that I hold the right to add to this list as I see fit. I write off the top of my head. Which means I often leave things out and I tend to ramble. So, for the safety of your eyes I have decided to break this into 2 parts – #’s 1-5 and #’s 6-11. I imagine that this list will seem sufficient to me as I publish it and will seem lacking after I read it again a few days later. Let’s simply consider this a list as opposed to the list of reasons why I believe kids are so much faster and faster in such greater numbers than at any other time in US history. We had way better music in the 90’s though. Like, way, way, way better. #2 – NXN – Man oh man did we have some great runs when I was in HS about a mythical national championship for XC. The Harrier Magazine and its US Top 25 list edited by Marc Bloom was the closest thing we had to that imaginary race we prayed for. We’d talk trash about Mead HS of WA and York HS of IL, and wonder aloud and angrily why someone didn’t put together a TEAM championship like Foot Locker had done for individuals. Enter Nike. This would have been #1 on this list (which is not in order of importance) but I realize that much of the press and coverage and build up in terms of excitement for NXN is done online. The quality of HS teams on the Boys and Girls side has risen dramatically in the last 10 years. NXN is to blame (if your team is falling behind) or to be commended (if your team has moved ahead) for being an integral part of that rise in quality. #3 – NBIN and NBON – These meets have been around longer than NXN. The New Balance Indoor and Outdoor National Championships have become the Track & Field meet of the season. In the past, like ancient history 1980’s, there were a series of Invitationals around the country where the elite of the elite HS runners competed in June. They have for the most part disappeared. The NBON and NBIN have now given a date, time and place for the elite athletes to have their showdown. If you get enough studs together you can make some real noise. Ask Oppenheimer. #4 – Coaches that listened to Pearl Jam – If you ran during the 90’s there are a couple of traits that you picked up. One, you listened to Nirvana and Pearl Jam. Two, you ran slow but thought you were good. Three, you developed an inferiority complex about runners from the 70’s and early 80’s. Four, you went to college and got tired of Americans sucking on the world scene. Five, you eventually learned that you did not work hard enough in HS. Six, you realized that you could coach kids to work harder than you did and not make all the mistakes that the guys in the 70’s and 80’s made. Seven, you have an affinity for making lists. #5 – Bob Kennedy – He kept the light on when all around him the night was creeping in. Thank you BK. If you don’t know who he is shame on you. If you do but really don’t then take the time to learn. You can’t truly be great in this sport at any level if you are not a fan and a knowledgeable fan at that. It’s almost time. It’s almost time to say… goodbye. You will leave us and move on. Many of you will have the opportunity to attend college and universities. You’ll study interesting things and meet interesting people and see some interesting stuff at interesting parties. It will be an incredible 4 (if you are intelligent enough to milk it – 5) years. It’s almost time to go. There are juniors waiting for your parking spots. You’re so close to closing the door on this part of your life. But nothing is shut just yet. I have never walked in your shoes or raced in your spikes. I never will. I know that. But I have been around this great track you find yourself on. Hopefully you find something worthwhile in what I am about to say. As always… it’s up to you. I’d love to drop some original knowledge here but the reality is that many of the great truths about life and running I’ve learned have come from movies. So, through a few of them, I offer you some (borrowed) wisdom. This is truth. You have to admit that Senior year got here quickly. It’s all about to end. You’ll be having that last relay and your last team meeting and the last time having to alter what you eat because of practice. All those sacrifices? Can you remember all of them? What about that time you had to turn off the Yankees game so you could get to sleep? Or the dance(s) on Friday night(s )that had to be skipped because of the meet(s) on Saturday(s). Sundays in the Summer? Long run. Saturdays in the Winter? 17 hour indoor track meets. You’ll miss them, all those sacrifices and stresses. They were worth it. The long bus rides, the bad fast food after a meet at the Armory in NYC, the terror in the paddock before a big race…it seemed like there would always be another meet or bus ride or set of intervals coming up. One bled right into the other. Soon there won’t be another. The bleeding will stop. So, don’t rush. Enjoy them. It goes by fast and soon even that will become “It went by fast.” Slow down. And please don’t take a day off. Not now. Don’t. Miss Anything. Dazed and confused people dominate no single age-group. Both old and young will tell you that now is not as important as later. They will tell you not to care so much; it’s only HS. It’s only Track & Field. You’re only a teenager. They will tell you there is more after this and after this is the only time that matters. Screw that. This-Here-Now is important. Don’t live, train and race these next few weeks like they are some way-station or meaningless pit stop on a long voyage. Today, tomorrow and these last few weeks are important because they are what you have here and what you have now. I wish I knew what tomorrow held but I don’t and if today is one of the last practices with your teammates of 4 years or your final State meet with your friends, well, that sounds important as hell to me. It is OK to care. It is OK to have the most important moment of your life now. You can always have a more important moment…later. This was tough. You started out as a kid – a little kid really – a freshman. You made it, though. Many of you competed 8 seasons and some of you 12. There was never really an off season was there? The expectations were there all the time. You had so many commitments and you had to learn on the fly and then just like that you’re a senior and you have to guide and teach and mentor and counsel a new group of kids, little kids really, freshmen. You probably don’t realize it now – just how special it all was – how incredible you were. You probably don’t comprehend all the work that you had to do. You came back day after day to be a part of a most difficult task – to become better than you were the day before. The payoff in Track & Field (as in life) is always delayed. It takes months and sometimes years of work to marshall your own forces and achieve an effort you are truly proud of. The real payoff though comes much later. Once you have stepped away and you can see this time of your life from a distance counted in years and not meters or feet you will realize you are proud of yourself. You will realize you were extraordinary and a part of something epic. Rewarding in the end, absolutely. I hope you walk off the track this June hurting. Seriously. I hope you are hurting real bad. That’s right, I hope you cry. I hope you miss it all – the competition, the struggle, the uniforms, the smell of the track on a hot day, the sound of metal bleachers, the feel of putting on a pair of spikes. I hope you miss your coaches, your teammates, this version of you. I hope you get emotionally crushed. I hope you experience that. If you walk away devastated that means you gave yourself to this sport. It means you loved it. When it goes, this part, it will hurt. Because that’s what a broken heart feels like. Savor it. Your heart will heal and it will grow back bigger and stronger. And when it does you’ll be ready to love again. It’s almost time for you to go, to move on and find that mountain of yours that is waiting for you, right? Well, if you have just another minute, before you go, I have one last piece of advice. In all honesty, it’s a few pieces of advice for these last few weeks and beyond. As much as movies teach us and inspire us Life is not a movie and there is no script. So, don’t be an actor. And don’t rely on special effects. And as far as I know there is no sequel being planned so live this life as best and as fully as you can. always respect your competitors but never fear them. Don’t be afraid when you are boxed in. An opening will show itself. Have the courage to pass and move up. Always be a great teammate. And always try to hand the baton off in a better place than you got it. One last thing… when the people you care about leave make sure you tell them that you will miss them and that you want to see them again. We’ll miss you. Come back and see us. Newspapers. Remember them? Those oversized pieces of paper that made your finger tips faintly black after you handled them? Remember? Sure you do. So do I. Track & Field doesn’t. If Track & Field remembered newspapers then Track & Field would be in the newspapers. I watched it on Flotrack. It was an amazing race. Ben outsprinted another American, Hassan Mead. Mead is another amazing story. He moved to the United States from Somalia when he was 10 years old. He ran 13:03 Sunday night. Mead lived in Puyallup, WA and briefly attended HS there before he moved to Minneapolis, MN where he graduated from Minneapolis South HS. He is now living in Eugene, OR and running for the legendary Oregon Track Club. These are outstanding and exciting performances by Americans in an American rabbited and American dominated race on American soil. The newspapers of America, specifically the ones in North Yarmouth, ME, Puyallup, WA and Minneapolis, MN gave a collective yawn in response to the news (or lack of news). The Bangor Daily Press had the largest article on the epic night for Maine sports. The BDN dedicated 159 words to the True-Mead duel and the Masters victory. It’s fitting that Bangor had the longest article considering it is the real world version of Stephen King’s fictional Derry, ME and so many of his long sagas took place there. When there even is any coverage of elite Track & Field the coverage is small. Is anyone acting as a press agent for Ben’s sponsor? Saucony, are you listening? Don’t you want Ben in the paper as much as possible? Local-Boy-Done-Good type headlines with Saucony clearly across his chest? You may not convince the San Jose Mercury News to give Ben headlines much less cover the meet even though the Payton Jordan meet was 10 minutes from San Jose and was on a Sunday night. But, I have a sneaking suspicion here: North Yarmouth was probably having a slow news day Sunday (like the other 6 days of the week). I bet that early Monday morning, one if not all of the small-town Maine papers would have been open to the story (and maybe a picture) of Ben True, of North Yarmouth, ME running the #9 time ever by an American in the 5k – one of the fastest times ever by an American on American soil. Believe me, I am not trying to give people more work. I just happen to think that we need to hit the easiest and most obvious places first when it comes to selling our sport. Local news in local newspapers or local TV need to be TOLD that local people are competing and achieving great things on a world stage. We spend so much time bitching about Track & Field not getting on Sportcenter when we should be bitching about Ben True not being heralded in North Yarmouth! I remember in 2004 when my Nike Farm Team (and high school) teammate Eric Savoth made the final of the Olympic Trials 5K by winning his semifinal heat. There was a story in the local paper, the Asbury Park Press, complete with picture, on Eric and how he had been training for years after graduating Georgetown to realize his dream of running at an elite level. That one article updated an entire community about what Eric had been doing. People read it. They had a connection with Eric through location in general and many had connection with Eric through school or having competed against him. People were interested because of those connections and the Nike Farm Team and Eric benefited. The sport benefited. Without that article Eric and his race would have gone unnoticed everywhere. In fact, outside of a handful of newspapers concentrated in NJ there was very little reason for what Eric was doing to be noticed. But in those NJ newspapers it was legitimate news and I imagine the Trials picked up a few more viewers from the Jersey Shore for the 5k final and the sport picked up a few extra fans – for 12 1/2 laps at least. And that newspaper had an interesting story that connected with its readers. Newspapers mattered way back then – 2004. Newspapers matter today. At least they can matter, if we take advantage of them. I know that getting Ben True and his 13:02 in the North Yarmouth papers is not going to fix the overwhelming problems that Track & Field have. I also know that Track & Field has, for too long, allowed the sport to slip further and further away from relevance. The sport has been too rigid in its meet presentation, too slow (ironically) to react to changes in social media, too arrogant in it’s dealings with its own athletes and coaches and sponsors and fans. And yes, the sport has been to damn lazy to promote itself. So I say to Track & Field: start calling newspapers! It is not above you! Develop relationships with writers and editors and publishers. No newspaper is too small. Get a newspaper to cover your meet. Treat the writers well. Tell the fans at the meet that they can read an excellent recap in that paper the next day. Or take an advertisement out in the paper announcing your meet or that your athlete ran great or that local boy Ben True wears that awesome Saucony shoe when he is training during the Winter at altitude in Arizona so he can come down to run a 13:02 in California. And have the advertisement mention wears that very shoe when he comes home to little old NORTH YARMOUTH, MAINE and runs around beautiful Walnut Hill Cemetery. North Yarmouth Local #1: Wow! I may just check out a pair of Saucony’s! North Yarmouth Local #2: Maybe someday I can be like Ben True! North Yarmouth Local #3: I had no idea a local kid had become such a stud! North Yarmouth Local #4: Where is California? Every elite athlete should have an agent or a PR rep from their sponsor that has on file a list of 2-3 local newspapers that they can send stories, pictures, updates and advertisements to any and every time that the elite athlete runs even half way decently. This is not going to save Track & Field. I know. But it’s something. And if we get enough somethings, maybe, just maybe…I’m getting ahead of myself. If we really want to save our sport, support our sport and truly celebrate our sport then we have to start with someone and we have to start somewhere. Ben True seems like a good someone and judging from the pictures North Yarmouth seems like an awfully good somewhere. I ran 3:43.93 for 1500m at the 2000 GMC Envoy Meet in Palo Alto, CA. That is the equivalent of a 4:01.78 mile or a 4:00.39 1600 according to the MileSplit USA race conversion calculator. I really wanted to break 4 minutes that year. The final person to qualify for the Olympic Trials in 2000 was a HS senior by the name of Ryan Hall. Yes, that Ryan Hall. 2:04 Marathoner Ryan Hall. His time that qualified him for the 2000 Olympic Trials 1500m? 3:42.70. Yup, I missed the Olympic Trials by 1.2 seconds over close to a mile. I really wanted to qualify for the Olympic Trials in 2000. I opened my 2002 Indoor season running 4:03 for the mile. There was a 33, yup, 33 second lap in there too. Not sure what happened. Brain cramp by the field as a whole. But, I left that race and knew I was going sub 4 that season. I ran 4:03 at 4000 feet in Idaho 2 weeks later. Then I got sick. I was nauseous. I got migraines – never had those before. Sinus infection. Antibiotics. This is the week before the US National Champs. Seriously? Yes. 9th. 4:04. Two of my teammates broke 4. I really wanted to break 4 that season. Not to worry. I was only 26. I planned on running faster. I still had 2004 too. 3 weeks before the cutoff date for qualifying for the 2004 Olympic Trials I tore my calf at the end of a workout at the Stanford Track. I wanted to qualify for the 2004 Olympic Trials too. Have I mentioned that I lost the Penn Relays when I was in HS? I was the anchor. I had the lead. I really wanted to win that too. Oh yeah, I got hurt during my final year at North Carolina. Had to get a shot of something in my foot the week before NCAA XC Districts so I could run. Helped the pain. Didn’t help my running. I rigged. Badly. That was my last XC race for the Heels. Not to worry! I still had Outdoor Track eligibility! I blew up on the last lap of my last race for the Tar Heels. A year of on again and off again training because of injuries led to a really bad last race. Really bad. I wanted to qualify for NCAA’s in the 1500m. I wouldn’t have qualified even if they used my 1400m time that day. It was ugly. If I had run 2 seconds faster one Spring or 3 seconds faster one Winter those times would have taken me to Europe. I really wanted to race in Europe. I never got to race in Europe. I spent years and years chasing dream after dream. Almost all of those dreams were either too fast for me to catch or simply slipped away as I lay on a table in a trainer’s office or sat on the side of a track in pain. Those goals and dreams or ridiculous attempts made me travel – Florida, Georgia, North Carolina, Virginia, Maryland, Pennsylvania, New York, New Jersey, Idaho, Massachusetts, California, Oregon, Washington, Arkansas, Canada – wherever there was a race, an opportunity, better runners, great coaches. I was willing. I just wasn’t able. Am I depressing you? I hope not. That is not my intention. Not at all. I am a great failure. I am a great failure and I’m proud of it. I tried, really tried. I ran for long enough that I went from being a really talented but really lazy kid to a runner whose only real talent was really working hard. I’m proud of that too. I never looked at myself as someone who got injured much…until I stopped running competitively and looked back at my career. And what I realized was something else I am proud of. Not so much that I got hurt a lot but that I came back from being hurt a lot. I never stopped believing. I believed I could come back. I believed that there was another chance, another season, another race. I really thought that if I kept pounding out the miles and the work and the lifting and the little things that I would achieve everything I had set out for. Penn. NCAA’s. Olympic Trials. Sub 4. Twain was a stud. He got it. I bet he would have been an awesome runner. I bet he would look back at a lifetime of successes and many more failures and smile, as I do when I look back on my running career. I left the harbor. I explored this sport and in doing so explored myself. And I had some great dreams. Some of them, many of them really, remain just that, dreams. And that is OK. Because when I think about those dreams I’m proud of myself for having the guts to have them in the first place. Sub 4 – Olympic Trials – NCAA’s – those dreams, those harbors I wanted to reach. I never made it. Close. But I never made it. I had to run so many miles to come up short so many times. But, you know what? Twain never said anything about other harbors. He only spoke about one harbor. The one we are docked in. The harbor that we are tied down to. The harbor that keeps us out of the ocean, keeps us from exploring the unknown, keeps us from dreaming. Twain said that we would be disappointed by the things we didn’t do. He told us to throw off the bowlines and dare to leave this harbor and to risk failure. That risk and those failures, and there will be failures, – they are the evidence. They are the proof that we left the harbor, the safety, the crowd. Exploration occurs, dreams are realized and discoveries are usually made with failure close by but they are always outside of the harbor. Failures, even the greatest ones, are why you can enjoy looking back on your career, not disappointed, not in the least, and enjoy the view- a view from the middle of the ocean. A view without a harbor in site.